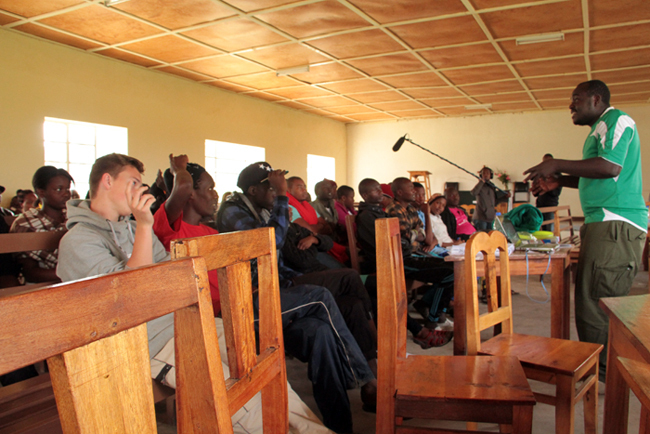 During the Easter holiday on 4th April 2015 we had our first youth forum dubbed POT ( Plus One Talent) #BuildingTheBridges, the forum is based on promoting self-discovery, awareness, personal development while also creating a collaborative culture of sharing skills and knowledge. 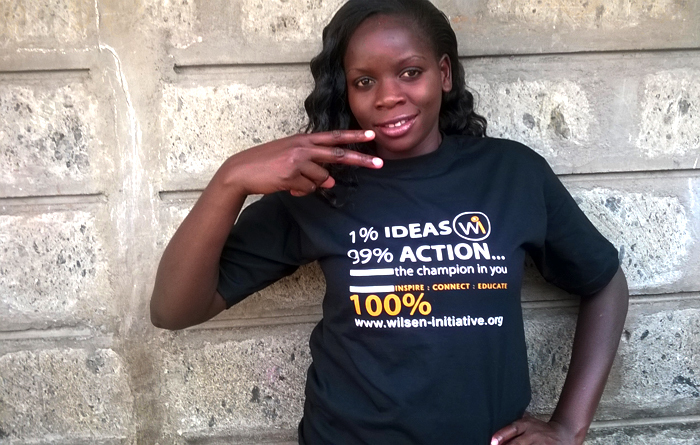 The overall pivot point being 1% IDEAS and 99% ACTION, we target young people from registered community based organizations from the 18 – 30 years who are actively involved in community development projects. Our team is made up of young professionals and experts from diverse field who act as mentors, coach and facilitators of the Plus One Talent (POT). The event was an invite only due to limited resources; we had the pleasure of having the Majimazuri Center from Mathare, Angaza Sports and development center from Thika and Wilsen members fully represented. On the other hand, we had the great pleasure ofhaving two great inspirational and creative leaders who facilitated the session, namely; Mr. Wilson Masaka the founder of Wilson Initiative currently the Hub Manager at Kilimanjaro Film Institute (Moving Tanzania) and Mr. Patrick Mukabi aka panye who is an international renowned artist based at the Depo arts centre at the Kenya Railways Museum. Wilson gave a comprehensive introduction of Wilsen Initiative (Wi) concept and key highlights for the main event dubbed POT (Plus One Talent). He also gave an inspiration talk while challenging the participants to take positive initiative in relations to what surrounds them as a source of inspiration and opportunity while loving what they do, and doing what they love. 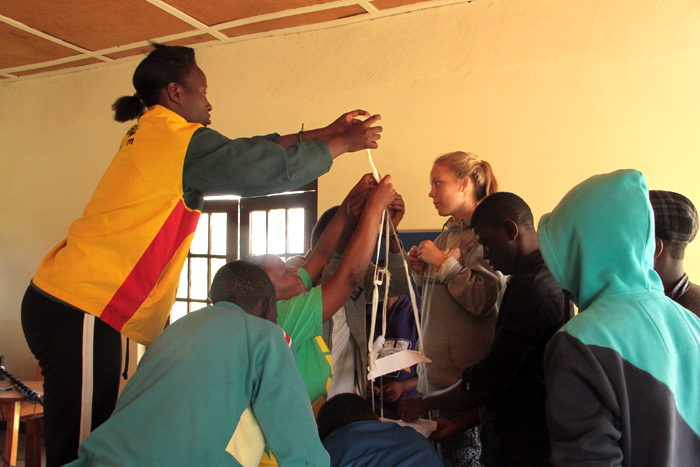 Doing session: Later the team was challenge on building the tallest tower with the given resources following some guideline that required the team to strategize and work as team. Patrick aka ‘Panye; took the team through a drawing process which was really interactive and was geared towards awareness and problem solving techniques among other important life skills. The exercise was titled drawing a representation of our society and how we view things. 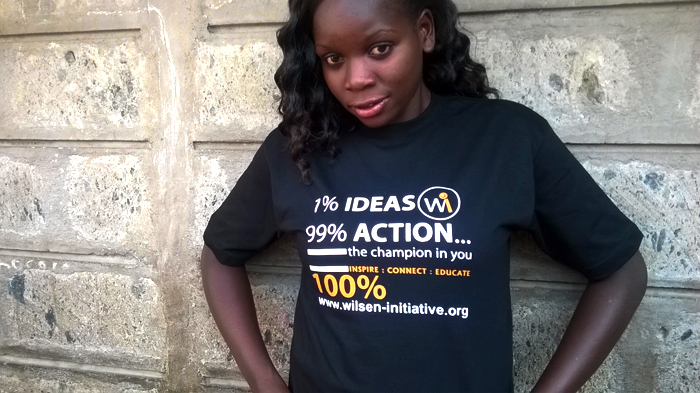 Wilsen Initiative is a registered community based initiative under the society act of Kenya. Since inception, we have been conducting inspirational forums, football tournaments and learning exchange forums with a mission of motivating the young people to pursue their talents and skills utilization for prosperity. Our vision is to have a society of self-confident young people who inspires positive change using their talents and skills. We believe after the session the skills acquired will help in self development that will ultimately shape different career choices and our main aim is to raise awareness about promoting self discovery and cultures that seek to strive for transformation of different realities in the young person’s life. 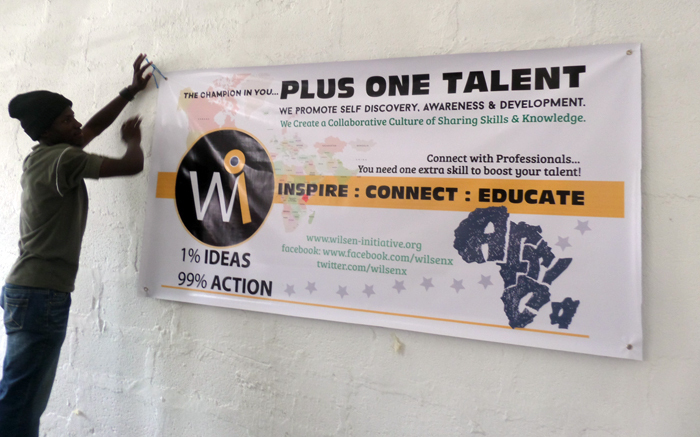 We promote self discovery, Awareness & Development, we create a collaborative culture of sharing skills & knowledge. (‘The facebook community meets the Linkedin community’ LIVE) Connect with Professionals… You need one extra skill to boost your talent! LISTEN & DO MAXIMUM PARTICIPANTS: 35 PEOPLE (from different CBO) – AGE 18 – 30 YRS. TARGETED YOUTH: COMMUNITY BASE ORGANISATIONS. 1. The ability to create and live your own reality. 2. The ability to Inspire, Connect and Educate SELF & OTHERS. 4. The ability to lead SELF & OTHERS. 5. 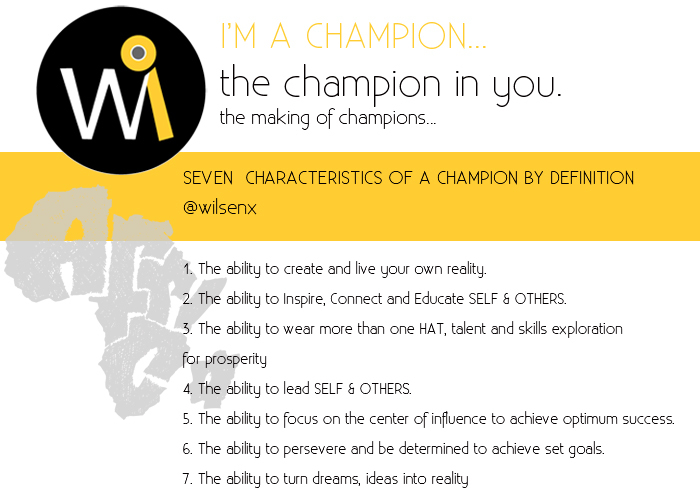 The ability to focus on the center of influence to achieve optimum success. 6. The ability to persevere and be determined to achieve set goals. 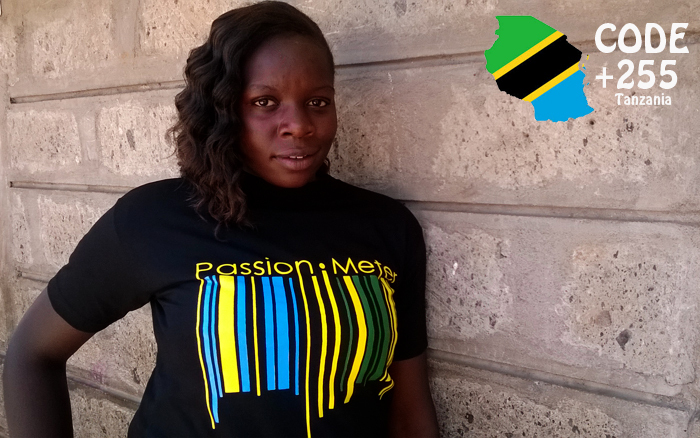 The Launch of +255 Passion Meter and 99% Action T-shirt. #MyIdeas Ideas will remain to be USELESS if no ACTION is taken! There are about 7 billion people in this planet and big chance is that somebody somewhere thought about the same ideas you are keeping as a secret or even better they are doing it. What you need is to believe in yourself and start… Do IT! 1% IDEAS + 99% ACTION = OPTIMUM SUCCESS. 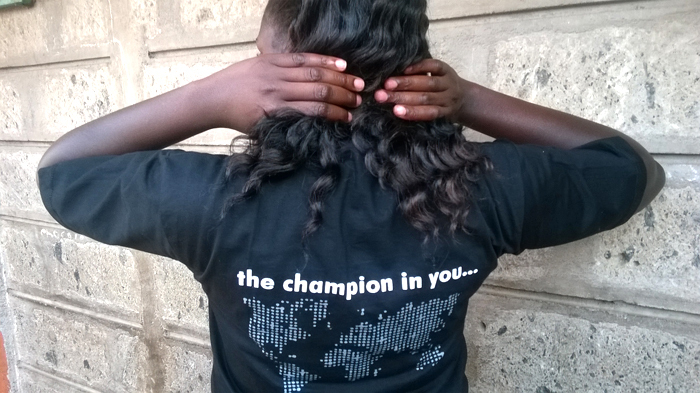 Today we celebrate the launch of our new T-shirts campaign for 2015 theme at Wilsen Initiative http://www.wilsen-initiative.org. Christian Youth Sports Contact (CHRISC Tanzania) is a sports and development organization started in 1999 as a self-help youth sports and community development project, the organization which has its head-quarter in Arusha runs under the vision and mission of CHRISC in East Africa. Their vision is transforming and actively engaging youth in society development while enhancing the youth potential through sports. 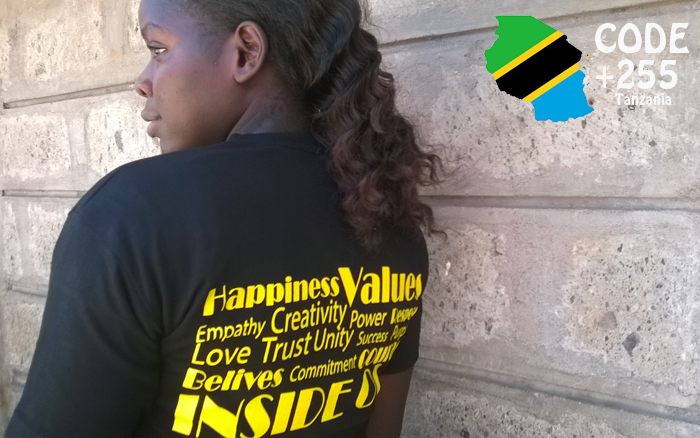 Chrisc Tanzania organized a leaders camp in CHrisc Tanzania Arusha at Oldonyosambu between 9th and 12th December 2014, in attendance were 70 youth from Tanzania and the main aim of the camp was to bring CHRISC Tanzania from Arusha, Mosh, Mwanza, Tanga and Manyara region for 4 days of training in leadership, engaged in various sports and to reflect on the success they have had in 2014 while they focus forward for 2015 working under a CHRISC project from the regions as mentioned above. Wilson explaining to the participants; Design Thinking, Team work etc Fun and Games. 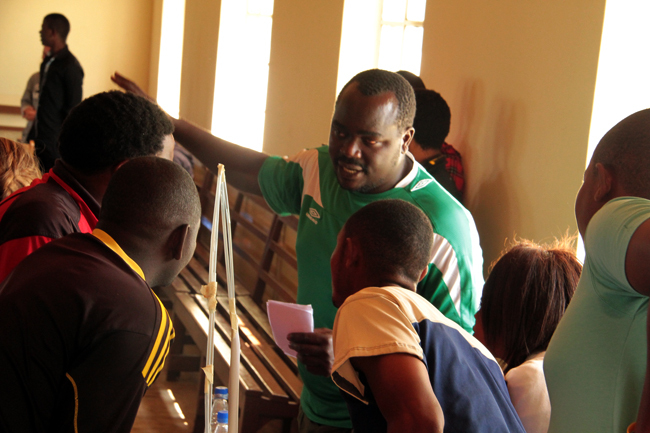 It was a great honor to have our founder Mr. Wilson Masaka facilitate during the youth leadership camp. 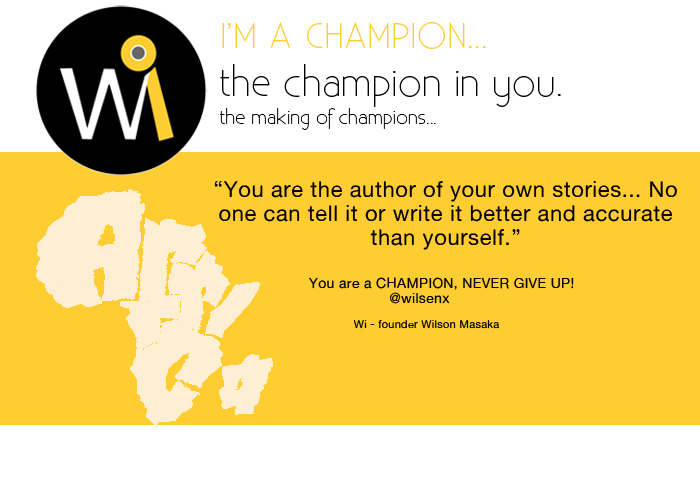 At Wilsen we always thrive to inspire, connect and educate young people wherever we go in the World through our journeys as CHAMPIONS who believes in change that starts from what we do, our action, thoughts etc.